All our vehicles and uniforms are unmarked. Your privacy is our priority. Hundreds of satisfied clients in Winnipeg and surrounding areas! Bed bugs are not pleasant creatures to be dealing with, and when you have that problem in your home it can be very difficult to relax and enjoy your life to the full so you have to make sure you call us! We will get rid of bed bugs in only hours and you will not think about them again! Besides, our trucks and uniforms won’t give you out as we will come in unmarked clothing and vehicles. We use only the best tools and materials to make you happy. So call us today for a service you will not forget! Nothing is quite as disconcerting as realizing that bed bugs have invaded your home. Fortunately, there are things that can be done to correct the problem. You will need the help of someone who understands the nature of bed bugs, what they look like, and what it will take to kill the adults and the eggs. Here is some information you should know about Winnipeg bed bugs, how to go about the process of bed bugs removal properly, and why knowing how to use a bed bug registry will help you in the future. Bed bugs are among the smallest creatures that you can see with the naked eye. Their bodies are oval in shape, and are usually flat. They do not have full wings. Instead, bed bugs have what is usually called vestigial wings or wing pads. The bugs are dark brown in appearance, although that will change after they feed. Any bed bugs that have fed recently will have a red to reddish-brown appearance. Understanding what the bugs look like is the first step toward knowing if a bed bugs removal is in order. It’s not unusual for pest control experts to ask clients to take images of the bugs and forward them by email or text. This helps to speed up the process of confirmation and helps the exterminator prepare for dealing with the infestation. Strictly speaking, you may not be able to avoid bed bugs from getting into the home. There are certainly ways you can minimize the potential for an infestation. Those efforts begin with you and your family. If you travel, learning how to prevent bed bugs is a must. 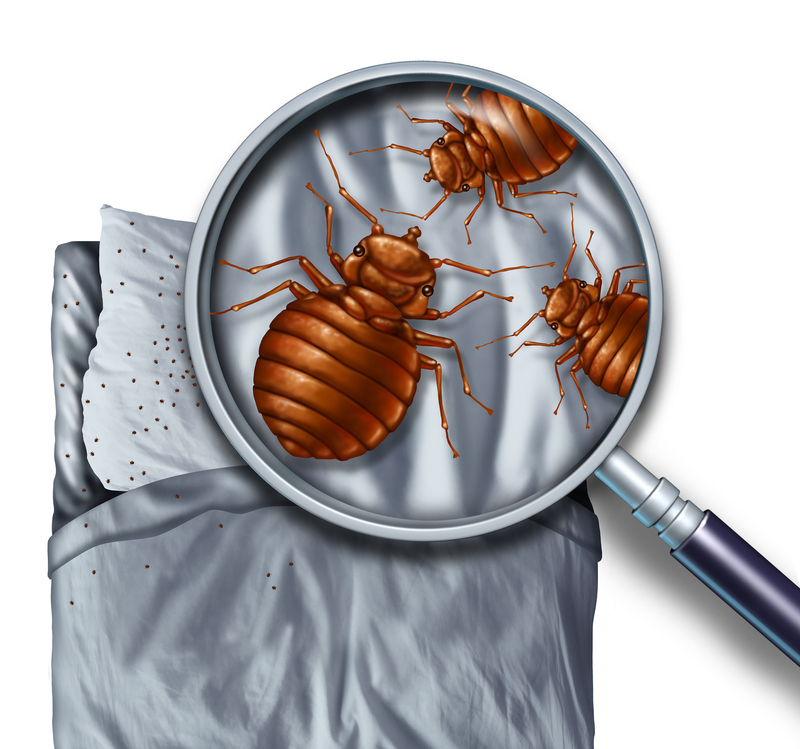 Start by making use of the latest registry to determine if bed bugs have been reported in any hotel or corporate apartment you plan on using during the trip. There is an up to date bed bug registry in Winnipeg for 2018, so you should have no trouble identifying any location with reported issues. Always check to see if those issues were resolved before booking a reservation. You also want to be mindful of thoroughly laundering or dry cleaning your clothing upon returning from your trip. There’s always the potential that you picked up the bugs without knowing they are tagging along in your luggage. Remember to disinfect your suitcases, as well as have your clothes cleaned. Promptly changing the bed linens after having overnight guests is another way to protect the home. Just as you could bring the bugs inside without knowing it, guests could also inadvertently introduce them to your space. Remember if you see any signs of activity, call a bed bugs Winnipeg exterminator at once. The right type of treatment will stop those bed bugs right in their tracks. You may suspect that there are bed bugs in the home. Even if you stay in bed-bug-free apartments or hotels, there is still some risk that they got in somehow. If you notice any of these signs, you want to call a professional and get some help removing those bed bugs from your Winnipeg home. Red bite marks on your skin is one of the first ways people discover they have bed bugs. The bugs thrive by feasting on blood when you are sleeping. If you notice marks that are itchy and seem to keep coming back, it’s time to check the sheets. Those sheets will also provide a sign that you have bed bugs. Because they do feed on blood, you will see tiny blood spots on the sheets. The spots show up easier on solid colour sheets, but they can also be detected on different patterns if you look closely. Trouble sleeping is also a sign that you may have bed bugs. This is especially true if the trouble only started recently. 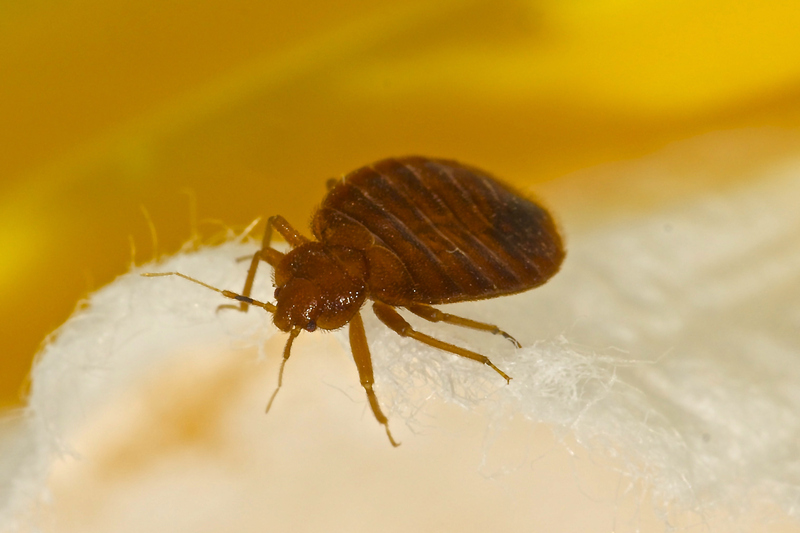 If you wake up feeling fatigued instead of energized, and there are also marks on the skin, it’s time to call for professional bed bug removal at once. Another hint that you have bed bugs comes from the nose. The bugs produce a somewhat stale odour that is similar to a wet towel left on the floor. When the infestation is significant, you can bet the scent will be noticeable. The most practical way to go about a bed bugs removal is to call a professional. It’s true there are over the counter remedies you can try, and they will help to some extent. The thing to remember is that those products may help clean surfaces, but the bed bugs are likely already deep in the mattresses and possibly some of your upholstered furnishings. That’s why you need help from a professional. Keep in mind that Winnipeg bed bugs can also settle in places you may not think to look. That includes your linen closets, the clothes closet, and even the window treatments. An expert with a bed bugs removal service will check all of these spots and a few more. For example, checking along baseboards for signs of activity is a must. When it comes to ways to get rid of bed bugs, your local exterminator will have more than one option. Heat is one of the most popular ways to remove the bugs from the home. That’s because heat can get into areas where other treatment methods cannot. For example, assume there are already adults and eggs deep in the mattress. Older treatment methods will not reach them. All that could be done is to treat the outer layers and then encase the mattress in some sort of sealed sleeve. That had to be left in place for a year to ensure the adults and the hatched eggs died. Unless you opted for the sealed enclosure, the only alternative was to replace the mattress. By using heat, it is possible to get deep into mattresses or upholstered furniture, kill the eggs as well as the adults, and eliminate the problem. Along with allowing you to avoid the expense of replacing various pieces of furniture, the actual bed bug heat treatment cost in Winnipeg is much more affordable than many people think. Along with seeking professional bed bugs removal, it pays to choose the service wisely. Not all of them offer the same level of expertise, a range of treatments, or will respond quickly when you call for help. That’s where choosing to contact Responders Pest Control is the best move you could make. While some services may not get to you for several days, Responders commits to arrive at your door in 24 hours or less. That’s true even if you call on a weekend. In the interim, the team will also provide some ideas of how you can prepare the home for the treatment. Doing so will make it all the easier to find all the bugs and eliminate them. Another plus is that the Responders team will arrive in an unmarked van. Even the uniforms that our extermination team wears don’t provide clues about why they are at your home. The goal is to ensure that the entire neighbourhood does not have to know that you have a bed bug problem. You can depend on the exterminator to be as discreet as possible from the moment the team arrives until they complete the task. When it comes to bed bugs removal in Winnipeg, Responders has the latest in heat treatment equipment. That’s important since the use of heat will bring the infestation under control much sooner than other methods. The results are also more thorough, so you are not likely to have the same issue arise again in the immediate future. Since Responders conducts a second sweep for bed bugs after each treatment, you can rest assured they are truly a thing of the past. Bed bugs in Winnipeg are nothing to take lightly. They can make your home an uncomfortable place to be and certainly keep you from getting the rest that is needed to get through the day. Instead of settling for some type of treatment approach that produces less than ideal results, always opt for the best way to kill bed bugs. With the right approach, you can get rid of bed bugs fast, rid the home of that stale odour, and sleep without feeling tired or itchy in the morning. Best of all, the total bed bug extermination cost in Winnipeg will be a lot more affordable than you expected.